I wanna be pretty and I wanna be white. It is my opinion long time ago. When Indonesian people mindset said pretty should be white skin. Then I realize. I love my skin as the way I love my life. My skin is brown because my parents, especially my father give me his brown skin. Because my mommy has white skin and she gave the white skin color to my big sister and brothers. Its make me jealous and mad hahaha. It was long time ago while still teen. 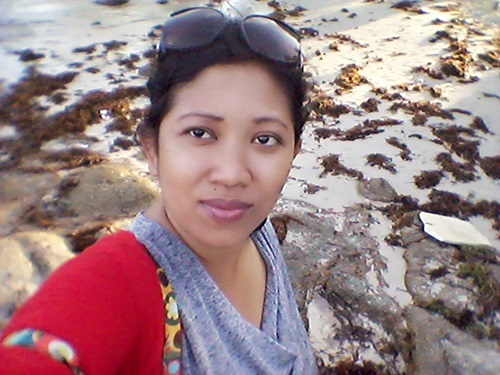 The most important is my skin health and no dry even no burn when I love to spend all day in the beach. Am I the one who care the color skin? I guess a lot of people also think the same. Color is only color the most important how to keep skin healthy and fun time in the beach. I do love go to the beach. Indonesian weather is summer “all the time” we do not have fall season, winter season. Its only two rain and summer. But that is so fantastic to get lost in the beach anytime we want it right! When my friend call me to get lost in Bali and I said about the sunblock which I can not find the perfect sunblock lotion to protect my skin from naught sun light. My friend give me best sunblock I ever used. 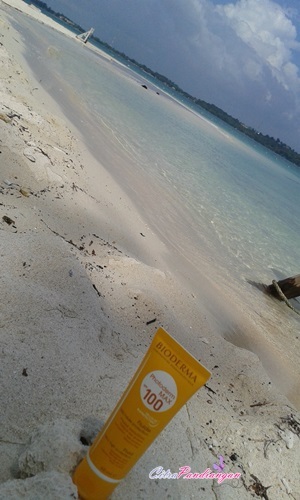 That is Bioderma Photoderm Max SPF 100. I just feel awesome about 100 SPF because so far in my life, I just used the high SPF is around 50 SPF. What can I say when I see it in my hands. I feel so glad to use this product from France. Thank you for my friend who introduce and give it as a gift to me. I feel so lucky to get this product hahaha. Friends, I would not explain about the contain of this product on my blog. 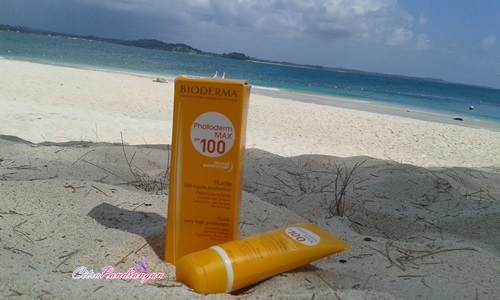 You can find it on my other blog on storycitra with the title Bioderma Protect My Skin from Sun Light. 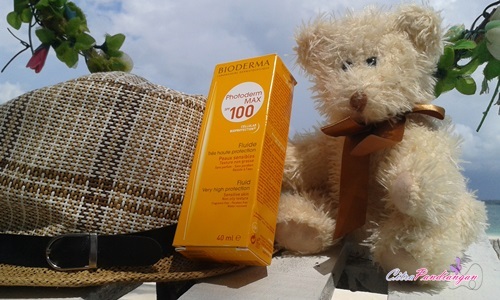 Do you know my friend, Bioderma sunblock 100 SPF is maximum sun protection for the face. So I am not afraid to use this lotion on my face. The first before going out. I am using my normally product on my face and before applying my powder, I am using Bioderma protect with a little size in my hand then I put all on my face (cheek, for head, noise and etc). After using it, I apply my powder. Its simply to protect my skin. After caring face, I am using this lotion to my hands and foots. Its simple just give it a little then I got good condition to protect my skin. This product can use by senstive skin or intolerant of any kind of sun exposure. 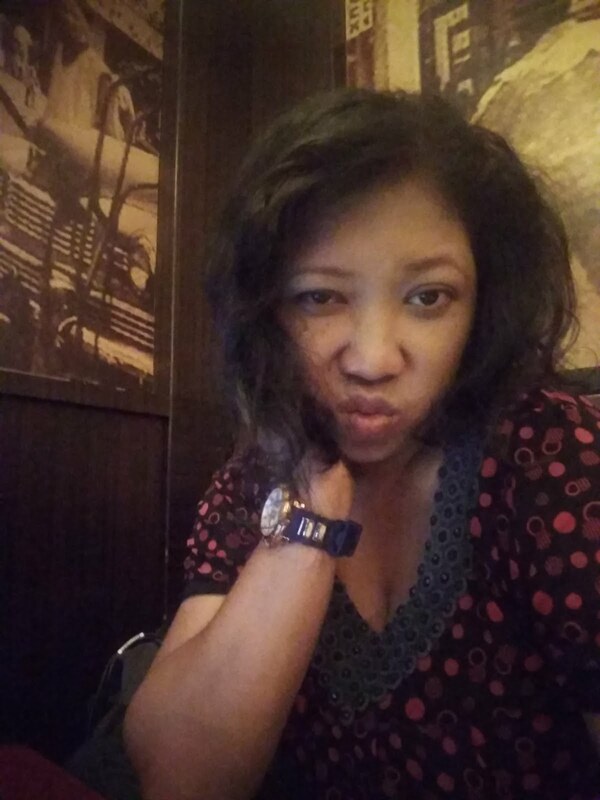 So this product can use while you are during to go to mountain, beach, tropics to protect skin from sun light. Its true. My skin so sensitive so this product is not make my skin get burn while doing holiday. So this is a little video about how I love to try this product. Thanks for watching my video and leave me comment on below this box. 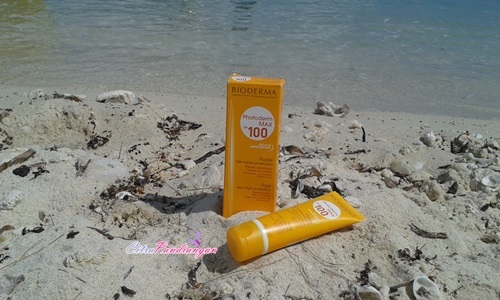 Have a good fun time in the beach with 100 SPF sunblock to protect skin from naughty sun block. Let’s get adventure without worry about skin get burn and hurt.